Sometimes seeing is believing. I mentioned a fair share these iOS 5 features before but videos do some more justice than screenshots, so here’s a collection of eight great (see what I did there?) videos that show the best of iOS 5’s beta features. We’ll start it off with Apple’s official Intro to iOS 5 video which is a nice 5 minute roundup of new features and what to expect come public release this fall. Following that up is a series of amateur videos showing off more specific features like Airplay’s wireless video mirroring, the PC free setup of first boot, Notification Center and how you can customize it, iOS 5 performance on older hardware, and more. This is first on the list for good reason, it’s Apple’s brass showing off the features their teams have worked so hard to build. Shown are some of the killer iOS 5 features on both the iPhone and the iPad. Split Keyboard – It Moves! This video is a little obnoxious in that YouTube V-Blog shaky self-documentary style, but it shows a neat feature of the split keyboard… it moves! The video shows you can split and rejoin the keyboard, plus move it around anywhere on the screen, making it more comfortable for anyone to type with. Want to see more iOS 5? 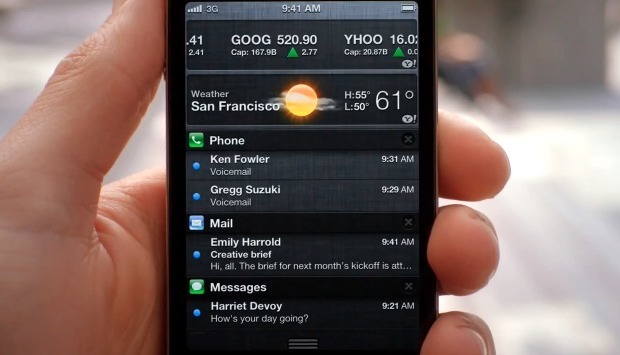 Watch the WWDC 2011 keynote, the iOS 5 segment goes into depth about features and everything else. It’s kind of like Apple’s Intro video, except much more thorough. I wonder if it’s stable enough to use on a daily basis? Looks really nice and refined for a beta. There’s 9 videos on this page, can’t count I guess? This OS comes at least half a year late. What? Who made you the king of time? There are only 8 that you can watch. Way to go with attention to detail, Pendantic.